Position is a necessary value to monitor in the SirMixABot drink mixer machine. A belt drive moves the system horizontally, while a drive rod moves the drink assembly up and down. 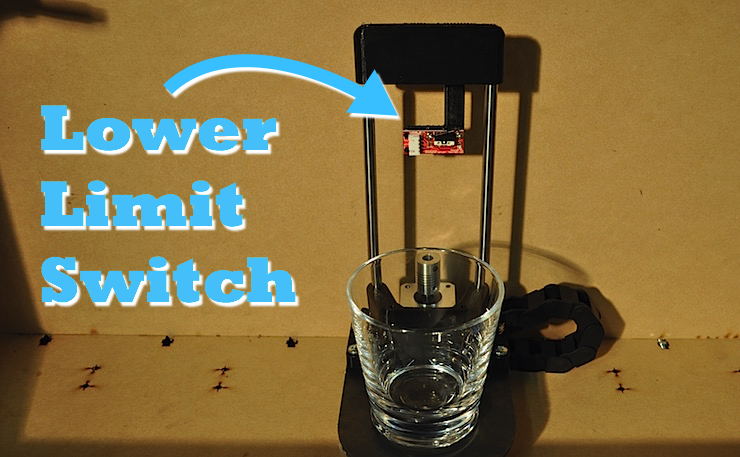 The arduino powered robotic bartender uses magnets to determine which ingredient it’s lined up with. 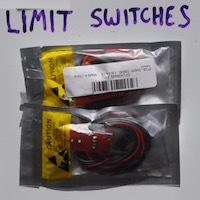 It also uses three critical limit switches. 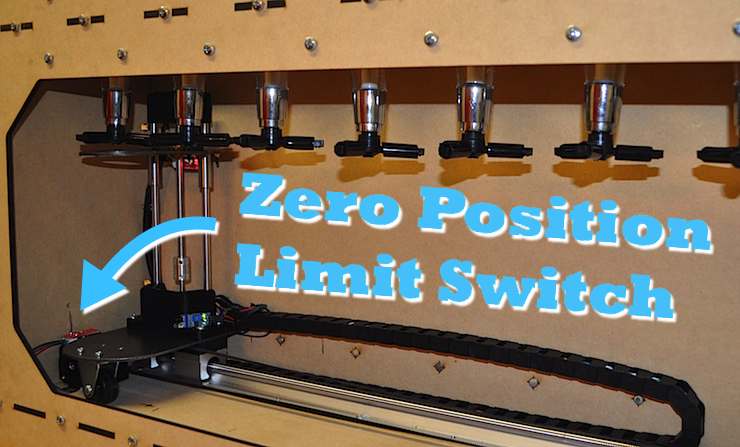 Along with the rest of the automated bar, limit switches were selected as reliable, affordable parts that are easy to work with. Below we examine each limit switch’s location and function in the overall process. In order for the drink actuator to lower below the liquor dispensers but not too low to crush the glass, we had to institute a lower position sensor. There are multiple 3D printed parts on the drink mixer machine. The upper piece turned out to be the perfect place to mount both the lower and upper limit switches for the drink actuator. The arm extending between the two, and the overall piece, could be easily redesigned and reprinted in hours. In the end, the lower limit switch was mounted facing out, and catches the edge of the drink actuator. This signal states that the platform is free to move horizontally, or, if under an ingredient, the actuator can move up. Once the platform is in place, it’s time to actuate and pour an ingredient. One slight difference is that the upper limit is mounted facing away from the user. Similar, however, is that it catches the actuator plate and signals a “stop” position. In this case, the upper limit switch lets the actuator compress the liquor dispensers, but not past a point where it would cause damage. Facing away the user can still see the light shine on the rear wall, which turned out to be a neat feature. An activated switch simply signals that “liquid is dispensing”. The wiring for these two limit switches are braided and return through the drag chain. 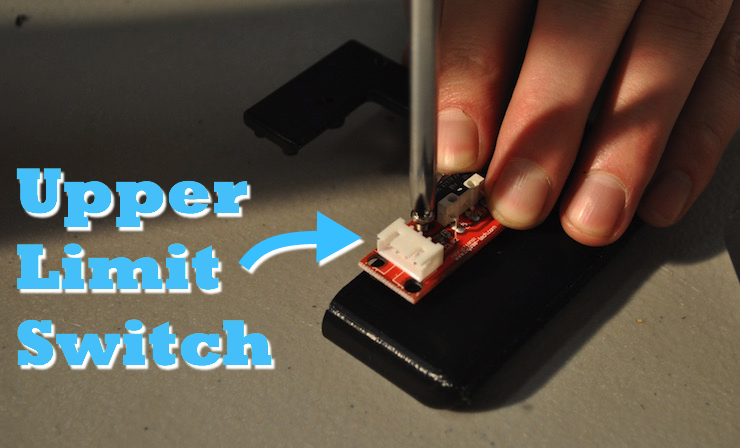 The final limit switch is not attached to the mobile assembly, but serves an equally important duty. After ordering a drink from the SirMixABot app the system needs to “zero” before setting off for ingredients. A limit switch at the far left was an easy solution, mounted to the same piece as the stepper motor. Bringing the assembly a few millimeters from the left side of the enclosure ensures it is located before the first station. From there, it’s off to pick up ingredients depending on the order. A lot happens within the drink mixer machine in less than a minute. If you understand the function of each component though, it’s even more fun to watch SirMixABot do its job.